European football's deadliest striker takes centre stage when Borussia Dortmund welcome Legia Warszawa to the SIGNAL IDUNA PARK in UEFA Champions League Group F on Tuesday (kick-off 20:45CET/19:45GMT). 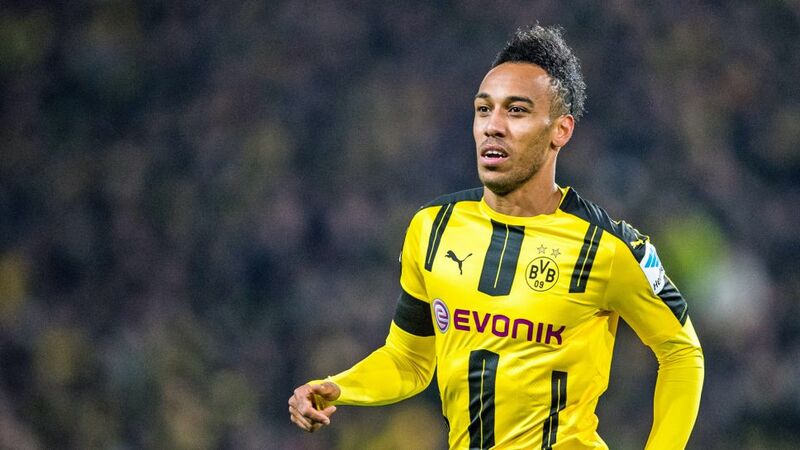 Sign Pierre-Emerick Aubameyang up to your Official Fantasy Bundesliga team now! Pierre-Emerick Aubameyang has been in prolific form so far this season and currently sits joint-top of the pan-European scoring charts on 12 goals after taking down FC Bayern München in Der Klassiker at the weekend. "It was a really important win," said Aubameyang, whose instinctive 11th-minute finish inflicted a first Bundesliga defeat of the season on defending champions Bayern. "We're now finally back on track and we need to continue in this vein." Victory against Bayern took Dortmund back into the top three for the first time since the start of play on Matchday 7. Thomas Tuchel's men had gone four matches without a win prior to their 5-2 drubbing of Hamburger SV a fortnight ago, but are now only three points behind Bayern and a further three adrift of surprise leaders RB Leipzig. Integral to Dortmund's upturn in fortunes, Aubameyang has hit five goals in his last two matches alone and, along with 1. FC Köln counterpart Anthony Modeste, has scored more goals after 11 matches than any player across Europe's top five leagues. The Gabon international might even have added to his tally against Bayern were it not for an uncharacteristically errant piece of finishing in the second half. Ominous words for Legia, who experienced Aubameyang's goal-scoring prowess first-hand in the reverse fixture. The reigning African Football of the Year and 2016 nominee punctuated a crushing 6-0 win and has struck twice since to propel Dortmund to the top of Group F and through to the Round of 16 with two matches to spare. After such a polished display in Der Klassiker, a repeat scoreline is hardly beyond the realms of possibility. "The whole team worked very, very hard for the win," Klassiker match-winner Aubameyang opined. "It's exactly for that reason that we deserved to win. It was a special match, and the fans created an incredible atmosphere, but we need to stay focussed on ourselves and not bother about what other teams are doing. We have to keep it up!"